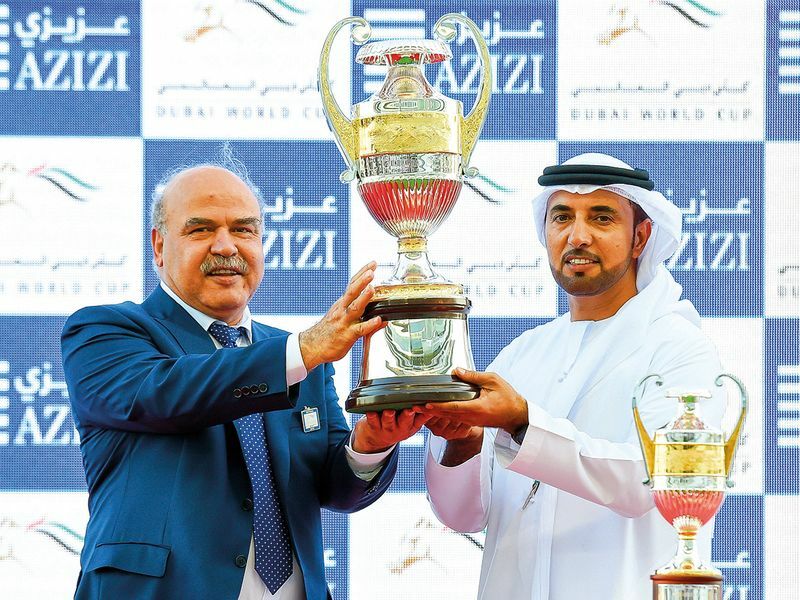 Dubai: It was 12 months ago that Blue Point was withdrawn at the start, but he made it to the stalls for UAE Derby and more than erased the memory of last year. 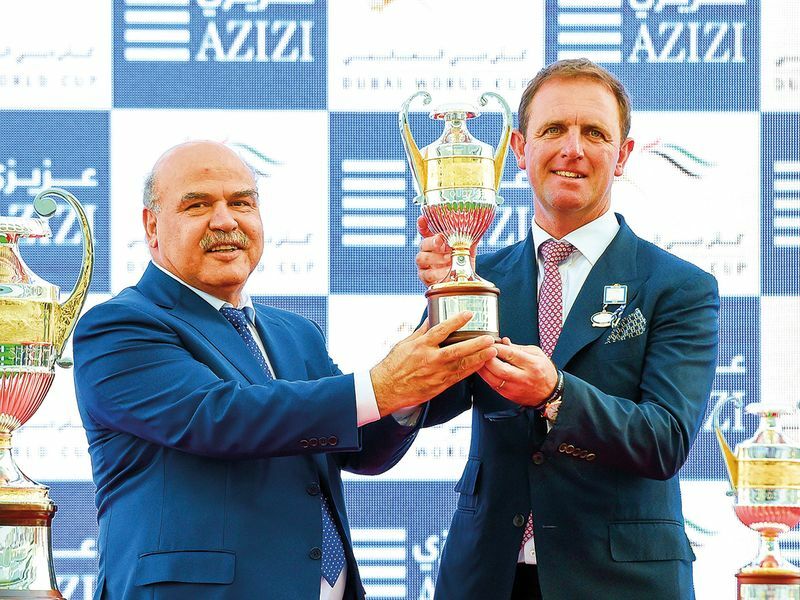 He proved his well being when winning the King Stand at Royal Ascot and two wins here at Meydan this year but he needed to win on Saturday to prove he is an international champion and he did not disappoint either. Mazzini was the last in before the stalls opened and these sprinters mainly jumped out quickly. Adrie de Vries, on Mazzini, took the lead from Viddora with Hong Kong’s Wishful Thinker in third. Sands of Mali sat fourth with Blue Point looking to be running very freely under William Buick racing just at behind. The order of the race remained almost the same until the 600-metre pole when the race really exploded into life. Belvoir Bay took the lead and he was quickly pursued by stablemate Stormy Liberal with The Right Man in third. 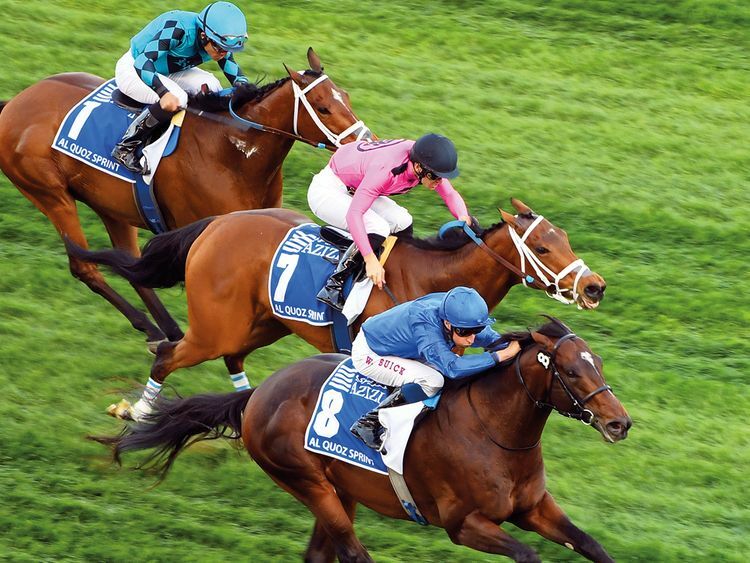 Blue Point was starting to make his move as the Right Man fell away, Illustrious Lad entered the equation. Belvoir Bay, under Flavien Prat for the top trainer of sprinters Peter Miller, was still knocking out the fractions and looking a tough nut to crack. 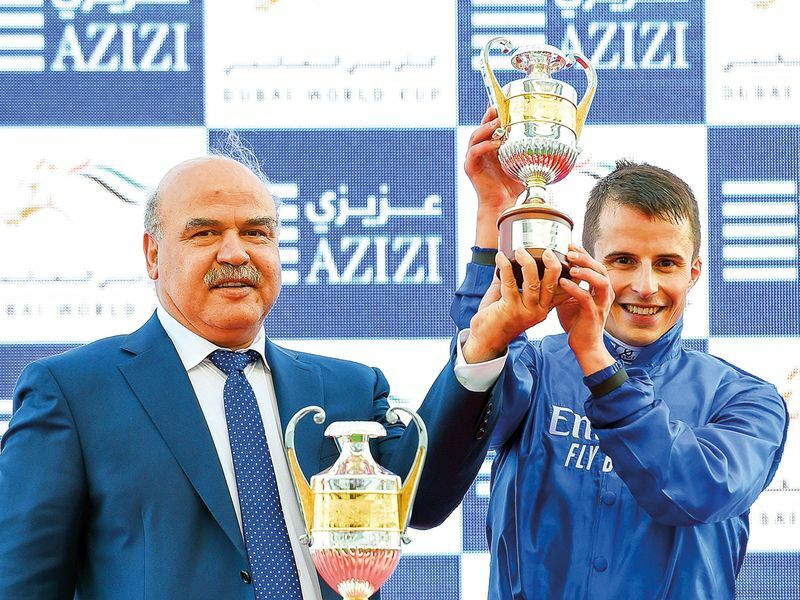 Blue Point soon swooped and took the lead about 200 metres from home and quickly asserted putting a length between himself and the field and completing a quick-fire double for Godolphin, Charlie Appleby and William Buick. Peter Miller was second again with Belvoir Bay and third where last year’s runner up Stormy Liberal completed the frame. He looks nailed on to win this race and I am sure he will be back again to try again. Jockey Buick was all smiles as he said: “I liked the way he took the race in his hands and set himself up nicely for that final burst. He has shown once again that he is among the best in the business. He seemed to have done everything right at the correct time. The American filly did come up with a late challenge, but he simply showed that he was not willing to take anything else but the top. Blue Point broke the race record, scorching up the track in 1 minutes 8.39 seconds. A thrilled trainer Charlie Appleby said: “Two [races] down and out of the way and we have a few more [chances] on the night. I am very happy with the way the evening has started for us this time. It’s just a fantastic feeling to see the way our horses have been coming in. Blue Point has looked so smooth all season and he won this race with the minimum of fuss and looks to have more in hand. 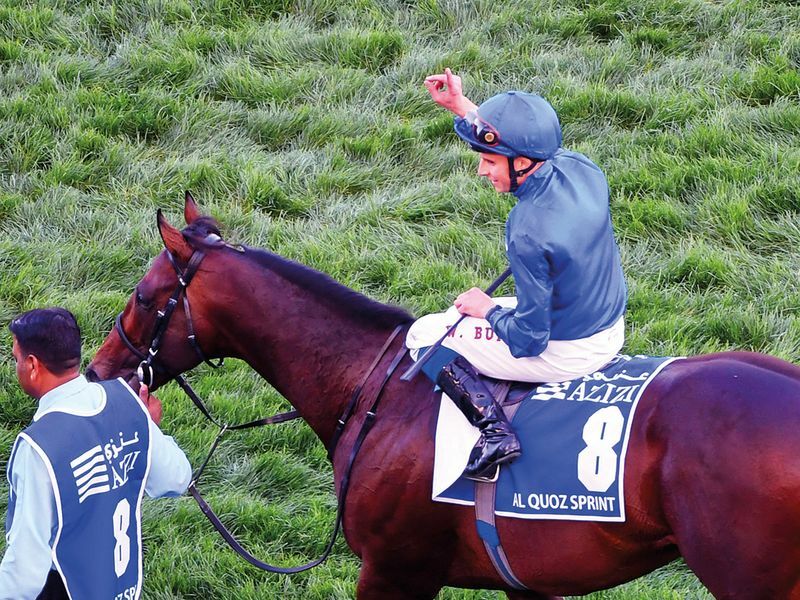 After this run, connections suggested the plan was to go to Royal Ascot again to defend his crown and it will take a good one to deny him there.